We have always wondered where our bags go once they have started their ‘journey’ from the check-in counter to the airline. 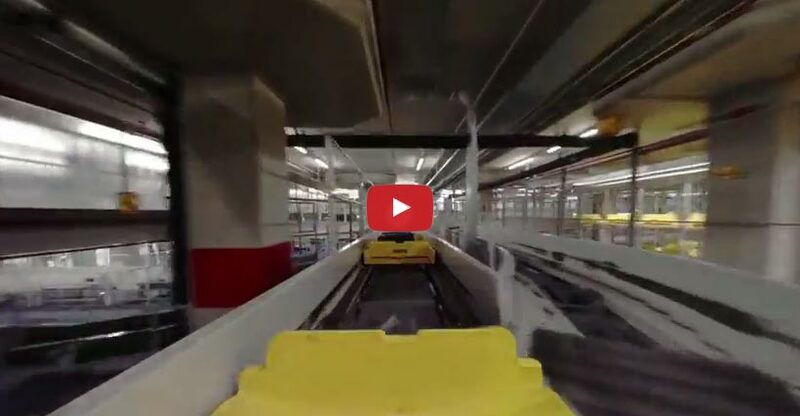 So the baggage handlers at Amsterdam’s Schiphol Airport strapped a camera to a checked bag giving us a behind-the-scenes look at the roller coaster trip it goes through from the check-in station, through the airport, and on to the airplane. For an even better experience, check out a 360-degree version of the video on the Schiphol airport website where you can drag the camera at every angle to see the bag in motion.